Local councils have increasingly been incorporating the addition of a resin surface into public spaces in favour of grass and concrete. Whilst the principal reason for this decision is due to financing (as with the majority of local council decisions), that is not to say that the inclusion of a resin surface in a public space is not without several other important benefits that can help to improve outdoor areas. When deciding which surface to use to improve an outdoor space, councillors are conscious of three main factors – safety, maintenance and aesthetics. A resin drive scores highly in all of these areas as well as being the most economical option, hence it is no surprise that resin surfaces are becoming the preferred option amongst local councils across the country. It seems quite unbelievable that children’s playgrounds of the 1970s and 1980s used tarmac and concrete surfaces. What with the rise in compensation culture, town and city planners have doubled down on making sure that their public spaces are safe as well as affordable. Concrete and flagstones are prone to cracking and becoming unbalanced, leading to the risk of trips and nasty falls. Resin, on the other hand, is a much softer surface that is effectively laid as a single piece of material. To this end, a resin surface does not crack or become uneven, meaning that it remains safe and is the most sensible option available in terms of a long-term preventative safety measure. Concrete paving slabs and flagstones attract all manner of dirt within their gaps. This grease and grime accumulates over time, looks unsightly and becomes a chore to remove. Chewing gum also seems to decorate these concrete canvases like an unfinished Jackson Pollock painting. As such, public spaces that use concrete and flagstones tend to require much more maintenance work to be carried out on them than public spaces that utilise a resin surface. Due to the manner in which resin surfaces are installed as a singular piece of material, dirt has no opportunity to accumulate within grooves. Resin driveway are also permeable and allow rainwater to filter through them; the resin surface is not continually eroded by weather conditions and retains its lustre in the long term. The ability to filter water also means that a resin bound surface does not fall victim to pooling and ice patches. Concrete and tarmac provide quite an industrial and drab visual and are generally only available in grey and black, not the most welcoming or relaxing of colours. Technological advancements in the manufacturing of resin have increased its popularity massively. The cost of manufacturing resin surfaces has decreased significantly over the past twenty years, meaning that the product can be offered to the consumer in a variety of colours and at a more economical cost. The benefits that resin surfaces offer to the general public in an open space are similarly beneficial to a homeowner who may be considering the addition of a resin bound driveway or patio. Resin bound surfaces offer the homeowner a safe and economical option that requires very little maintenance – nothing more than a light sweep every couple of weeks. Similarly, the range of colours that resin is available in means that you can easily incorporate a resin pathway or drive into the existing features of your external landscaping. First impressions count, so the saying goes. Ergo, if your driveway is worried about creating a good first impression amongst passers-by on the street, then why not treat it to a bit of a facelift? You can do so by having a brand-new resin bound driveway installed! Driveways age just like the rest of us and, with time, a once fresh-faced driveway can become pale, withered and rough around the edges. In which instance, the benefits of installing a resin drive surface will restore eternal youth to your driveway and thus help your front landscape to convey a sparkling first impression. A resin bonded drive not only makes aesthetic sense, it also has a range of other great benefits. Flagstones are generally only available in a couple of colours (pink and yellow for some reason). Concrete is available in either light grey or dark grey; whilst grass has absolutely no brand diversification whatsoever and is ONLY available in green! This will not do. These are modern times for modern homeowners! A resin drive surface is available in a range of colours (over 25) and can be designed to match the landscaping of your surrounding area. Thus, you can create a contemporary appearance that blends in with (and enhances) the features of your existing property and landscape. As well as offering little variety in terms of aesthetics, concrete and flagstones can also crack and wear away over time. This not only looks unappealing, but it also creates a slipping hazard, with flagstones in particular being prone to loosening and crackling, creating an unsecure and wobbly surface. A Resin Bonded Drive is soft to the foot and the mixture is poured and set into your existing space. What this technique effectively creates in a singular stretch of resin that is shaped into your available surface area. You won’t have to worry about each individual flagstone crackling at various points on your driveway because the chemical make-up of a resin bonded drive ensures that its permeable surface is resistant to all weather conditions and cracking in the long term. In addition to the benefit of being the safest driveway surface option available, a resin bonded drive requires very little maintenance. Whereas all manner of dirt and rubbish can collect within the grooves of flagstones, a resin bound driveway requires little more than a sweep every couple of weeks so as to maintain it lustrous finish. This finish also won’t fade over time, as is the case with concrete and flagstone designs. If your resin bonded drive is to be used for storing vehicles, then your mind can also rest easy that any potential oil leaks from these vehicles can be removed with general ease. Oil tends to seep into concrete and flagstones, thus permanently staining them and requiring a lot more than elbow grease to completely remove them. Again, due to the chemical make-up of a resin drive surface, oil spills can simply be removed from a resin surface with hot soapy water and a stiff bristle brush. A well-designed driveway can create an important, aesthetically pleasing addition to the front of your home and thus add value to your property. By opting to install a resin bound driveway you will ensure that your driveway is contemporary, safe, durable and requires the minimal of maintenance. You may spend slightly more installing a Resin Drive Surface, but it will end up paying for itself. That’s because resin bound drives are easy to maintain, so you won’t end up spending a fortune on maintenance tools and labour. They’re weed-resistant and the smooth, porous surface means no flooding or water pooling. They’re a great choice for families with kids or disabled people as the smooth surface is pushchair and wheelchair-friendly. Environmentally friendly too, they also give you tons of creative freedom to design a unique driveway, as resin comes in a huge range of different colours to suit your tastes. The long lifespan of a resin driveway and lack of loose stones means your driveway will look as good as new for years to come, and most companies will offer a 10-year guarantee. Ever thought about why you see so many gravel drives, particularly on new-build properties? They’re the cheapest option for developers, but they can be false economy in the longer-term. Because loose gravel can be laid onto a compacted stone sub-base, or on top of earth or grass, displaced gravel can lead to a messy appearance. A gravel drive will look great until you walk or drive on it, or until the kids kick the stones around! You’ll also end up paying more in maintenance, with gravel drives prone to weeds and potholing, not to mention the ongoing cost of replacing gravel. Cheap doesn’t always mean value for money, so what you save on installing a gravel drive you may end up spending in maintenance costs over the next 10 years, not to mention the time and effort. These are just a few reasons to choose a resin bound drive over a gravel driveway – there are plenty of other reasons too! If you’re wondering how much a new resin bound drive is going to cost you, you’ll find many companies out there offering free, no-obligation quotations. So shop around until you find the solution that suits you best! Unless you’ve been living under a rock, you will have noticed a recent increase in the use of resin bonded driveways. You may find yourself asking what the craze is. Like most trends, they come and go in terms of popularity. Look at the Harlem Shake (google it, you won’t regret it) as a good example. However, a resin driveway is more than just a trend, it is a revolution which continues to impress. Concrete driveways are now a thing of the past! Allow yourself to completely transform your home with the presence of a resin bonded driveway, which you can customise and design to your very own taste. Read on to see what benefits it can bring! Although this isn’t regarded as the top advantage, it certainly comes close. Why settle for a functional driveway when you can have a surface which not only provides purpose but aesthetic pleasure, too? This may also provide a way for you to increase your property’s value, although projects like these don’t tend to occur with people itching to move. Spending this much time and effort changing the look of your front garden means you’re staying for the long term to appreciate its beauty! A functional driveway and helping the planet? Music to your ears! Because of its permeable surface, any rain water that falls on the surface will seep through. This then kicks off a natural filtration process. This removes any pollutants including oil spillages, which not only keeps your driveway looking sharp but also safe to use all year round. Even with all the self-efficiency in the world, there is yet to be a self-cleaning driveway. However, with a Resin Bonded Drive, maintenance on your behalf is kept to a minimum. All you need is a stiff-bristled brush and if necessary, some warm water. This removes any debris or dirt build up that can’t be filtered through the surface’s top layer. Again, it is all about maintaining the aesthetic image and the cleanliness of your driveway. 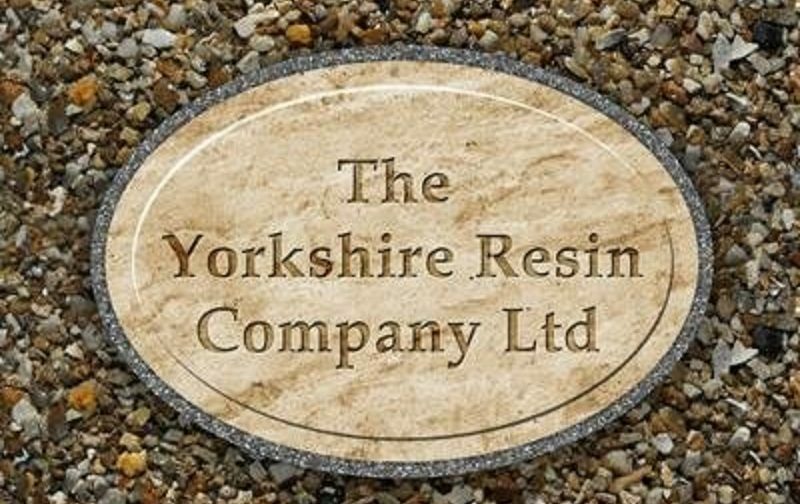 If you’re interested in where you can find out more information, companies such as the Yorkshire Resin Company can give you a hand. They have bucket loads of experience so don’t be afraid to ask what you may think to be a simple question! Visit their website and have a gander around, see what a resin bonded surface can do for you! Can You Jet Wash a Resin Surface? Every homeowner has an obligation to take care of their property. Besides ensuring that it looks beautiful and maintains its value, you also want its functionality to remain intact. A poorly-maintained home speaks volumes about its homeowners. What do you want your home to say about you? Many don’t consider it, but your driveway in particular needs occasional maintenance. This is particularly true for those beautiful resin driveway surfacing. Let’s examine whether jet washing a resin driveway is something you should do! Before cleaning any resin surface such as a patio, path or driveway, be sure to remove any and all objects from it. This includes furniture, plants and of course automobiles. Once this is done, you can make the process more efficient by sweeping the surface to eliminate any larger pieces of debris such as bark or pebbles. Once any loose debris is cleared from the resin drive surface or patio, the next step is to evaluate what exactly is being cleaned from it. There are a variety of stains and problem substances that can gradually build up on a resin bound driveway or surface. From chewing gum and cement stains to moss and algae, each one generally is best treated with its own approach. Regular jet wash cleanings are ideal once resin driveway surfacing has been implemented, as this will prevent the build-up of most of these elements. If, however, it has been some time since your driveway was last given a good power wash; then proprietary products designed to remove substances such as gum and oil may be required. While always trusting the professionals with periodic jet washes of any resin surface is vital for optimal results, you can improve the long-term appearance of your driveway or surface by providing it with a bit of occasional care. For example, tyre marks can usually be removed from resin surfaces by using spirits to scrub the surface and break down the rubber stains. Gradual dirt and oil can be eliminated by periodic surface sprays with a garden hose. If any weeds or moss appears on the surface or in between pre-existing cracks, then removing them with a weed killer will help prevent any further spread or damage. Ultimately, your resin drive surface or patio should be able to shine for many, many years without incident. However, to keep these surfaces at their best, periodic maintenance is required. Now that you know, you’ll be better equipped to plan the best resin surface maintenance routine! Or to make things a whole lot easier – why not just call in the professionals and get the job done without lifting a finger? Why Not Add a Spot of Colour to Your Driveway? When it comes to improving the curb appeal of your home and giving it interest, homeowners are quick to look at things such as a lovely garden, an attractive front door and garage door, lighting and updating pathways. One area that may be overlooked is the potential your driveway has to offer. Did you know that you can actually add interest, as well as curb appeal to your home, by adding a spot of colour to your driveway? Resin driveway surfacing is what makes colour possible and can completely transform the way the exterior of your home feels and looks. So, let’s take a closer look. What is a Resin Bound Driveway? For those who are unfamiliar with a resin bound driveway, this is a smooth and decorative surface resistant to cracking and weed growth. The material isn’t just reserved for the driveway either. You can also use that resin on pathways and steps to create flow and added curb appeal! The material is a mixture of resin and stone that is bonded together. The resin bound aggregate mixture then goes through a hand-installation process in order to create a smooth surface. There are a number of pros in choosing a Resin Bonded Driveway including the big one, which is the fact you can add colour to the mixture. You can be real specific in your colour selection too, so you’ll be able to achieve the look you want. In addition to this, resin bound surfaces are smooth with no loose stones that can cause a tripping hazard. They are also permeable, so you can say goodbye to water pooling! Are There Any Popular Colours? Now as for what colour to add to your driveway, it’s obviously a personal choice but there are some colours that are a bit more traditional and tend to work well with a variety of homes and styles. If you want it to look natural, then opt for something that is softer and more sophisticated. If you’re the more vibrant type, splash a little red, white and blue on there and create a patriotic driveway that really catches the eye! It really is a blank canvas for you to be as creative as you like. Work with a professional driveway installation company in order to obtain the best design and the look you are hoping for!